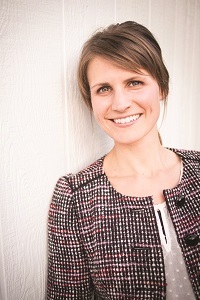 On a recent Called to Coach we spoke with Gallup-Certified Strengths Coach, Becky Hammond. Becky is the founder of ISOGO, a company that specializes in helping people identify who they are, recognizing strengths in others and integrating those skills into work and life. The company helps others discover those energizing things that lead to ultimate success in life, work, relationships and teams. Isogo is the name of the town in Japan where Becky and her family lived for three years. While there, Becky was forced to draw upon her strengths to adapt to and learn to love her new home. A few years before moving to Japan, Becky and her husband attended a leadership conference where they learned about the Clifton StrengthsFinder and the strengths movement. At the conference, they discovered their strengths and Becky realized that understanding their strengths would help resolve her nightly kitchen conflict. When Becky and her husband would arrive home from work on weeknights, she would immediately begin working while he would sit on the couch. She would clean, make dinner, continue with work projects and prepare lunches for the following day. He would grab a glass of water, sit on the couch and discuss his day with her. She found this dynamic frustrating -- why was she diligently cleaning, cooking and working while her husband sat on the couch? Her husband was also frustrated -- why couldn't Becky sit with him and talk about her day? But when Becky understood her husband's strengths, she realized that his high Relator meant when he got home, he saw an opportunity to deepen his relationship with Becky instead of immediately attending to the dirty dishes. On the other hand, her high Achiever meant that when she got home, she wanted to check things off her list. With their strengths in mind, Becky and her husband compromised: after arriving home from work on weeknights, they would work side-by-side in the kitchen while discussing their days. That way, each of their strengths were satisfied and they were no longer frustrated. After returning to the U.S. from Japan, Becky began coaching others on strengths in one-on-one and group sessions. One of Becky's favorite exercises during group sessions is the "star stretch." She asks her clients to stand with their feet shoulder-width apart and to stretch their arms into the air. While they are in this position, Becky explains that the most successful people in the world do not pursue a well-rounded shape in their lives. Instead, they treat themselves like stars -- they focus on growing their points of strength, much like the points in a star. Becky explains to her clients that their bodies are stars with their hands, feet and head acting as the points. She asks each client to give her one more inch of stretch in all of the points of their star because "this is our goal today, to stretch your stars." Becky explained that each person can always give one more inch to using strengths in their day-to-day lives. To hear more about Becky and her coaching experiences and expertise, watch the video above. Becky is about Your Wellness—and not that ambiguous, medicated type of Wellness. Whether you are a large healthcare organization, a startup fitness clinic, a robust alternative care center, an energetic nonprofit, or a group of moms striving together to be well, Your Wellness (productivity, engagement, profitability, impact) is the goal of our experience together. Becky's top five strengths: Achiever | Arranger | Learner | Belief | Connectedness. Thanks Gallup, Jim and Heather for inviting me on and being such dynamic interviewers. It was a blast.